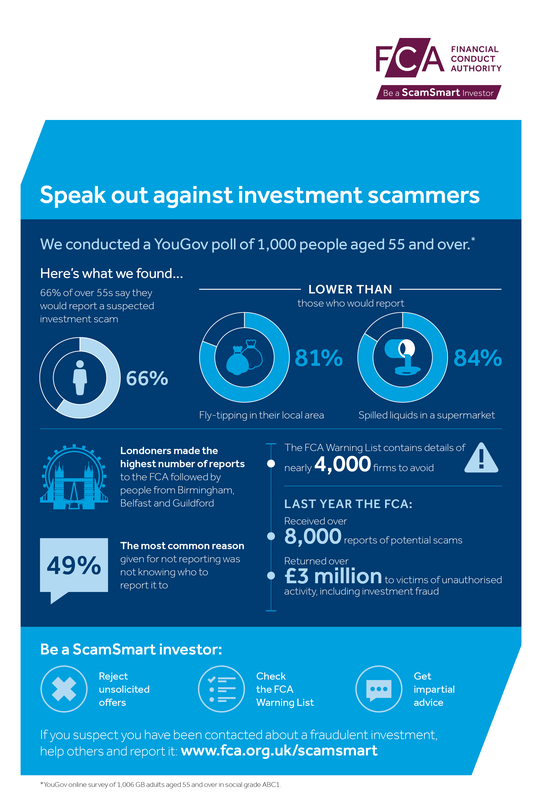 Support our ScamSmart campaign - download resources to spread the word about how to avoid investment and pension scams. All our publications are available to download online. If you would like an alternative format, please call 020 706 0790, email [email protected] or write to the Editorial and Digital team, Financial Conduct Authority, 12 Endeavour Square, London, E20 1JN.